Notes The Sturmhaubitze 42 was designed to provide heavy support fire to StuG III units. Based on the chassis of the Ausf F, F/8 and G the StuH 42 had a modified mount to cope with the new main gun and changes made internally to store the larger 105mm rounds, although some later models had a Saukopfblend mount. The main weapon was the 105mm Sturmhaubitze 42 which was based on the 105mm LeFH 18. Like most late models of the StuG III, later versions of the StuH 42 had additional Schürzen plus a coaxial MG and Nahverteidigungswaffe were added. 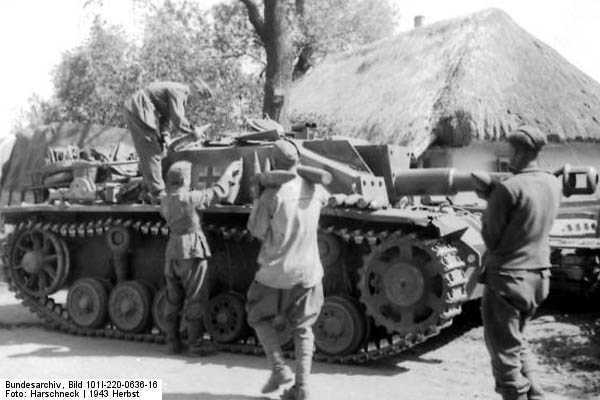 The StuH 42 was issued to StuG III brigades and served on all major fronts.